The Boxer temperament makes him one interesting dog to own. There are just so many facets to him. If you have never owned a Boxer before, there are some Boxer dog facts you should know before diving in. The devoted Boxer temperament often comes as a surprise for those who are not in-the-know about the breed. The Boxer may look tough, but don't let his no-nonsense exterior fool you. Underneath that rough exterior he has a heart of gold, and he is devoted to his family. The fearless Boxer temperament, coupled with his strong desire to protect, makes him a fantastic watchdog. In fact, in some parts of the world, prisons use them as guard dogs! If you do not normally live an active lifestyle, then the energetic Boxer temperament may not be for you. This is because Boxers, being big dogs, require a lot of daily exercise. 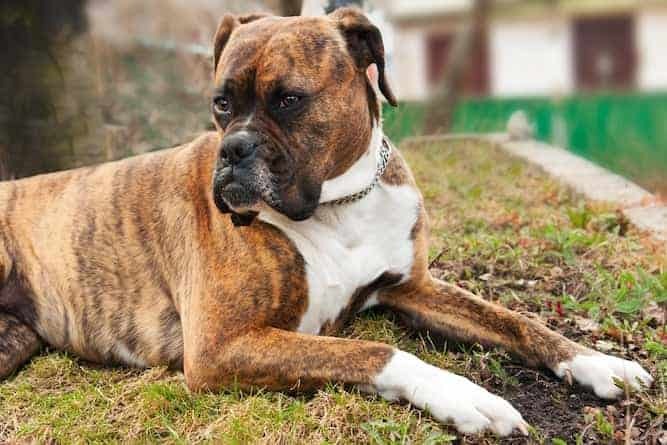 The loyal Boxer temperament makes him an affectionate dog who forms a deep bond with his family members. However, you may need to supervise him when he's alone with young children. This is not because he's dangerous, but because the Boxer temperament with kids is a bit too rambunctious. Couple the Boxer temperament with his larger size, and he may end up hurting the child by accident. You can train him to calm down around children, but while he's still learning, it's a good idea to supervise him when he's around them. The intelligent Boxer temperament helps him learn new skills quickly and easily. This makes training him much less of a chore than it might otherwise would be with another dog. A Boxer is a confident dog, perhaps too confident at times. You must train him to channel his confidence properly, or he could become aggressive. Typically, aggression only develops with strangers, and only if you do not socialize him early enough. Introduce him to as many new people and animals as possible while's young to combat this. Click here to see “How To Handle Aggression”. 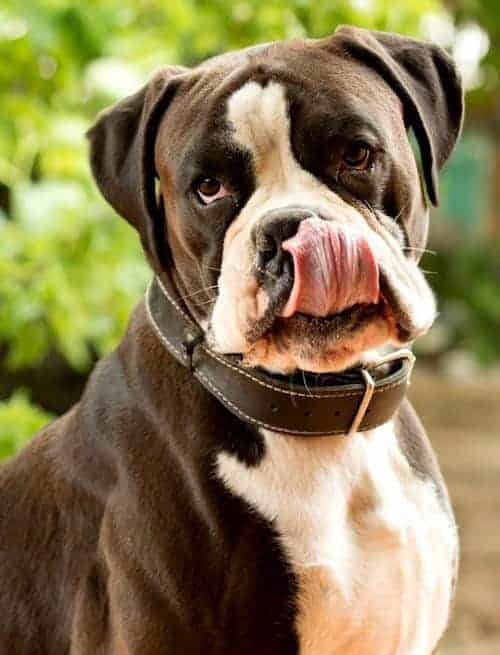 Boxers are enthusiastic dogs who love to play around, especially when they want to draw attention to themselves. Because a Boxer is so bright, he can benefit from even the simplest training methods. In other words, you don't need to worry about coming up with new challenges all the time to help him learn new things. A well-socialized Boxer will be friendly to those who are friendly to him, even strangers, but early and often socialization is key here. In other words, you earn a friendly Boxer temperament by putting in the work to help him become that way. Because a Boxer is such a brave dog, he has no problem guarding his master with his own life. 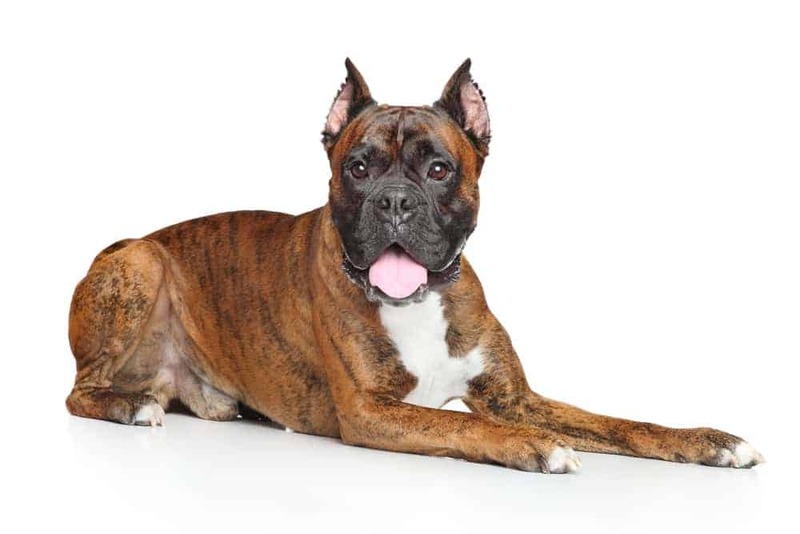 Boxers may become rambunctious and wild without the proper training and exercise. However, a well-exercised Boxer will get out all of his excess energy during the day so he can relax with his family at night. 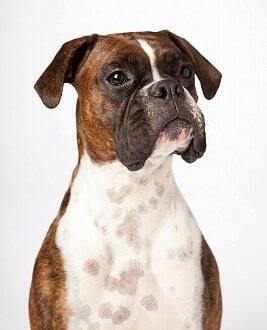 The Boxer originated in the 19th century and hails from the Molosser dog group in Germany. His ancestor, the now-extinct Bullenbeisser, worked as a hunting dog, in charge of hunting bear, deer, and wild boar. He was responsible for catching the prey and then holding it for the hunter as he awaited the hunter's arrival. 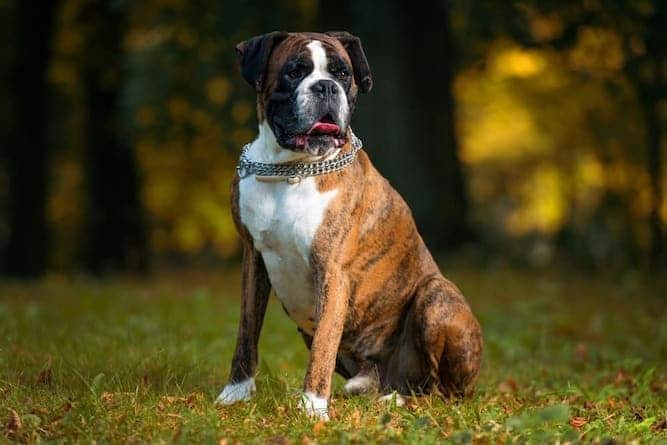 Breeders created the Boxer we know today when hunters were in search of a dog with the same hunting capability, but who was smaller and faster. 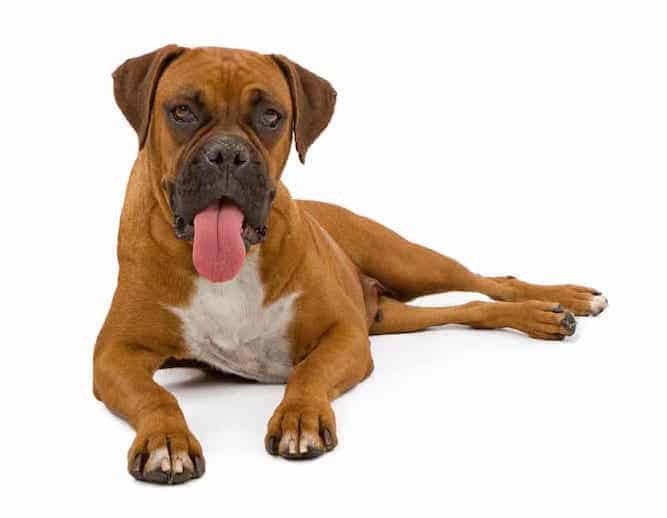 Today there are several types of Boxer dogs. 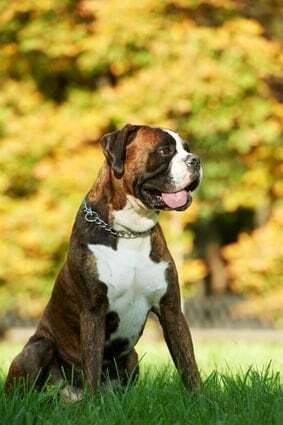 The American Boxer dog is perhaps the most familiar version. There is also the miniature Boxer, which is a cross-breed of the Boxer and Boston Terrier. The miniature Boxer temperament can mirror traits from either breed, depending on the individual dog. Boxers are eager to please their masters. They respond well to obedience training, which actually makes them prime candidates for police dogs. Boxers also do well with crate training, and they are quick to housebreak. However, some Boxers tend to be more dominant and high energy. These dogs can be hard to control, demanding, sneaky, boisterous and sometimes stubborn. This is fixable, though. Be firm and consistent with the Boxer, and he will come around. He will learn that you are the master here, not him, and that to please you, he must listen to you. The earlier you begin training your Boxer, the better. One of the main things you need to train him on is to learn not to jump. He loves to jump by nature, but jumping up on people should be a no-no. For help training Boxer Dog, go to The Online Dog Trainer by Doggy Dan. Doggy Dan is an expert Dog Trainer based in New Zealand. His online resource contains Hundreds of Excellent Dog Training Videos that will take you step-by-step through the process of developing a healthy, happy and well-behaved dog. As you might expect, the Boxer's short coat does not require much in the way of grooming. You can use a hound glove once a week just to catch the little hairs that may collect. A hound glove is a glove that works like a brush, and you'll probably find it a dream to use it. You don't need to bathe him that often either. The occasional bath when he starts to smell should be plenty. Other Boxer dog colors include fawn and white. 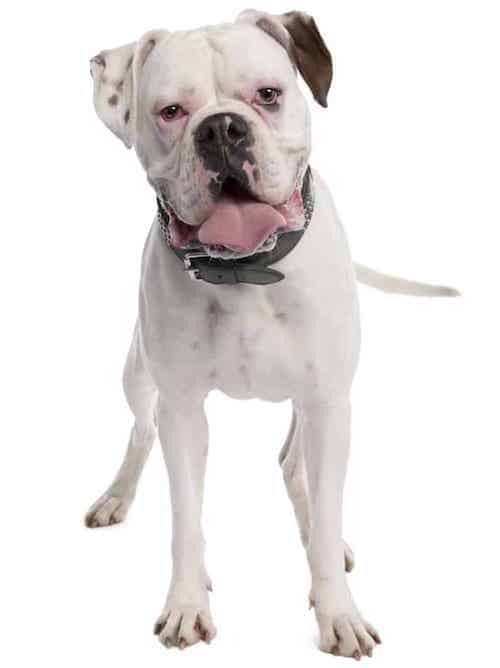 The Boxer dog is extremely athletic, which makes him the perfect companion for people who lead an active lifestyle or who love outdoor activities. However, they are sensitive to extreme temperatures, so don't exercise them outdoors for longer than necessary. This is especially true in the summer. Elderly or frail people or young children should stay out of his way while he's running about, as his boisterous nature is likely to run them over. You should also never let a Boxer run free. His hunting instinct makes it difficult for him to control his desire to jump (like over fences) or chase after smaller animals that may look like prey. The Boxer's life expectancy is between 10 and 12 years. The average Boxer dog size is between 21 and 24 inches high for a female, and between 22 and 25 inches high for a male. The average Boxer dog weight is between 55 and 64 lbs. for a female, and between 60 and 71 lbs. for a male. Note: Don't let the many issues above scare you. The best way to approach health problems is to prevent them in the first place. The Ultimate Guide to Dog Health is a great place to start. Get a copy to keep at home. It will help you prevent the painful health issues that can plague your lovely Boxer dog from expressing his winning personality and maximizing his life expentancy. If you haven't been dissuaded by the Boxer temperament, and you want to add one to your own family, that's great! You can find a Boxer for sale either through a breeder or an animal shelter. The average Boxer dog price is between $700 and $1,500. Many factors affect the Boxer dog price range, including the purity of his line and how much the breeder simply decides to charge. If you're looking into Boxer dogs for adoption, you may be able to find one at your local rescue shelter. You may want to look into a Boxer dog rescue if you're on a tighter budget and are trying to save money. Or, adopting can be a personal choice because you would rather have an older dog who is more likely to have training. 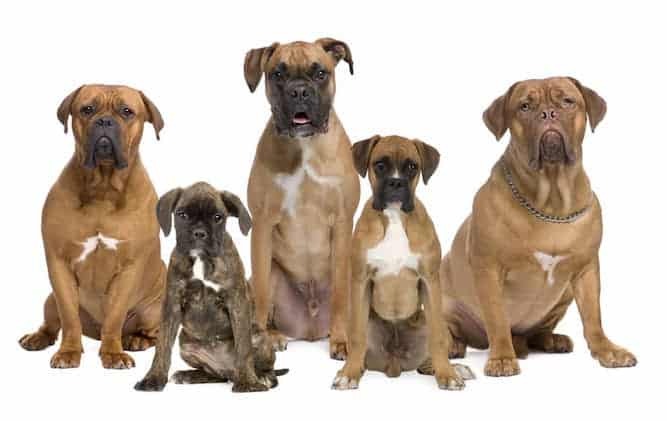 The Boxer is a fairly common breed, so you shouldn't have too much trouble finding a good breeder in your local area. A good resource to consult for a Boxer dog for sale from a breeder is the AKC (American Kennel Club). You can usually trust that if the AKC lists a breeder on their website, then they're almost certainly reputable. The AKC wouldn't just back anyone without proof that he or she is legitimate. The Boxer dog belongs to the Working Dogs dog group. Working dogs are stronger, larger dogs who excel at tasks like rescuing and guarding, as well as those that involve pulling. They also tend to be smart and resourceful dogs who are fast learners and great companions. 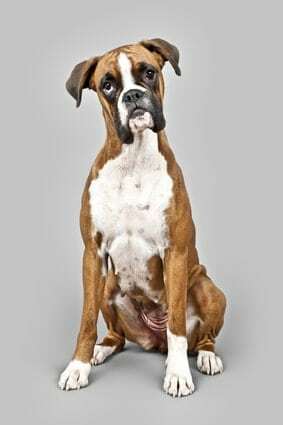 Understanding the Boxer temperament is key in deciding whether this breed is the right breed for you. The Boxer has a lively personality and is much sweeter than he looks. He is easy to care for and easy to train. Boxers make wonderful pets, though the better you train them, the friendlier and more confident he will be. Next post: Lhasa Apso Temperament: Can You Handle This Cute Dog?